Fabulous Morada Estate complete with Tennis Court and Indoor heated pool! Remodeled kitchen w/ large island, granite counters, pantry closet, stainless dual ovens & wine refrigerator. Living room w/ fireplace. Beautiful tile flooring. 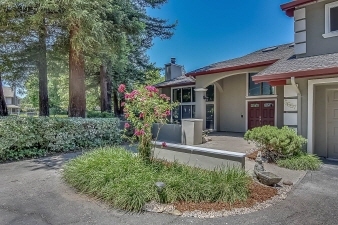 Master suite w/ bath and fireplace, outside access to balcony overlooking the 1.5 acre lot! Formal dining rm w/ slider to outside. Family room w/ wet bar. Fun indoor pool w/ slide! Detached exercise rm w/ full bath! Plenty of room for parties and entertaining!